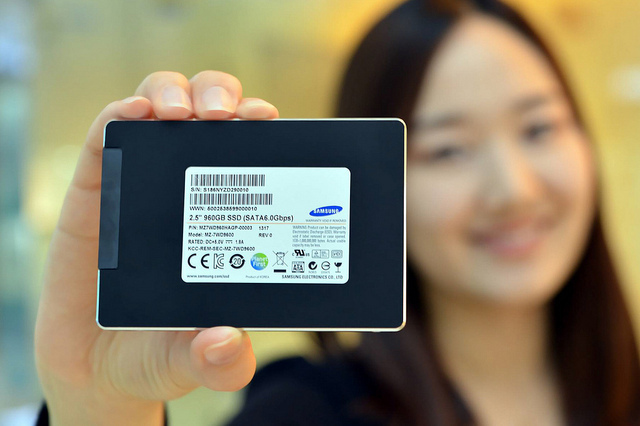 Samsung today announced that it’s already gone into mass production of high performance SSD (Solid State Drives) for Enterprise Servers and Data Centres. Going up-to 950 GB in storage capacity, these 2.4 inch Enterprise SSD will miss the Terabyte by some 90GB. These drives will go into production of Big Data systems and next generation data centres. The SM843T already in supply offers the industry’s most advanced performance level for SATA 6.0 SSDs to deliver fater and more efficient cloud computing environments. IT managers are bound to see improved system level performance with 6 times gains in performance and energy savings by 30 percent over conventional hard drives. The SM843T is best optimized for data protection from power interruption together with Samsung’s 3S Technology (Optimized systems, solutions and software technology) to achieve the highest Quality of service (QoS) that global cloud service providers and financial institutions demand.